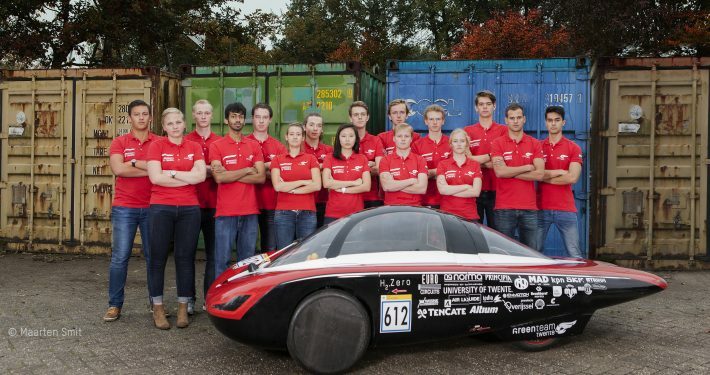 Green Team Twente is the multidisciplinary student team that builds a hyper-efficient hydrogen car. 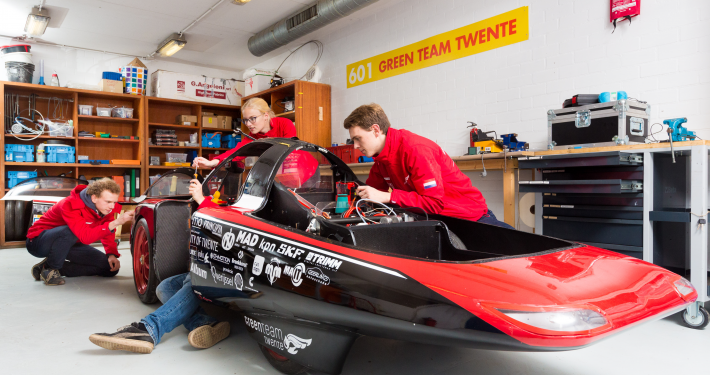 Since 2012, the year Green Team Twente was born, we have been building fuel-efficient hydrogen cars at the University of Twente in Enschede, the Netherlands. 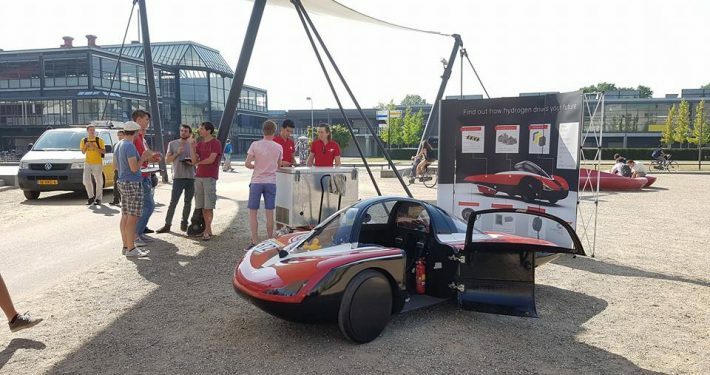 Our goal is to drive as efficient as possible and to show the world that driving on hydrogen is already a great alternative to driving on fossil fuels, next to battery electric vehicles. 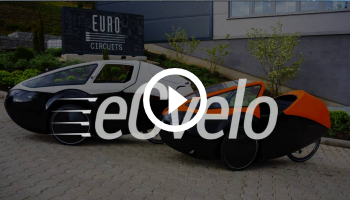 We do this by building cars that look similar to city cars, allowing people to see themselves driving in them in the near future. 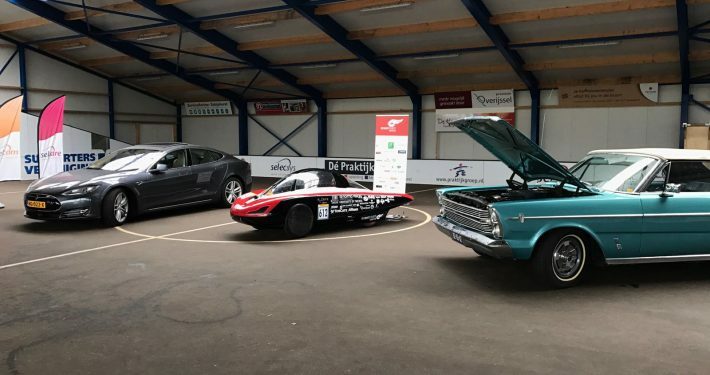 With our hydrogen cars, we participate in eco-marathons across Europe, a racing event not about speed but about efficiency. 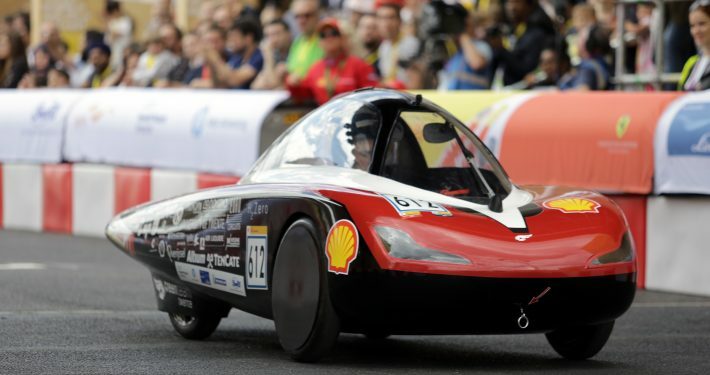 The goal for the teams is to drive as far as possible on one litre of fuel, for us being hydrogen gas. 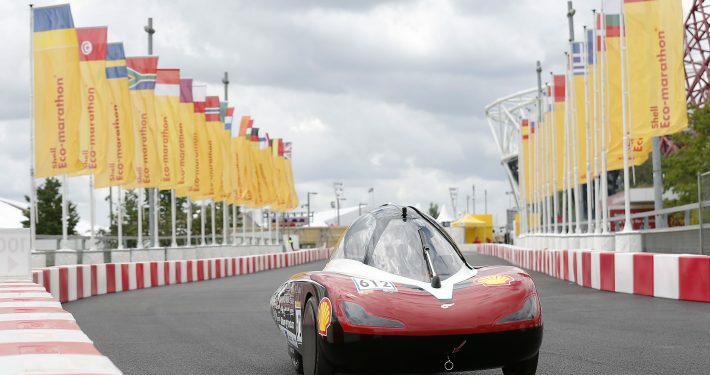 This year the Shell Eco-marathon, the largest competition, is held in the Queen Elizabeth Olympic Park in London, UK. 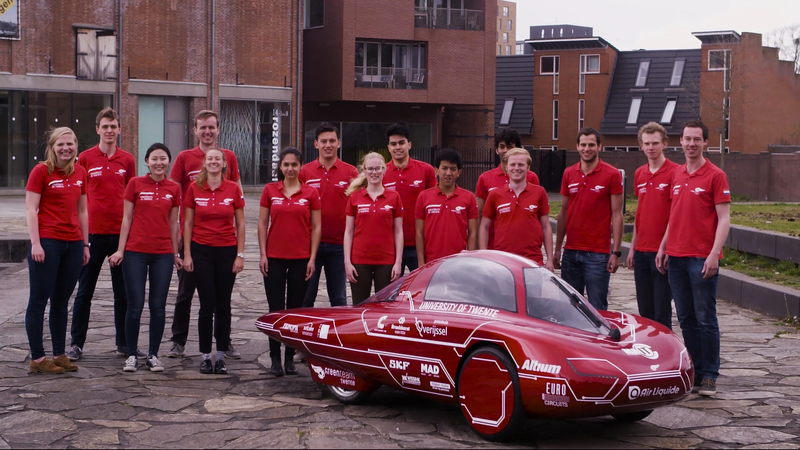 Our car of last year drove 268.1 kilometres on one cubic meter of hydrogen gas. This is equivalent to driving almost 900 kilometres (!) 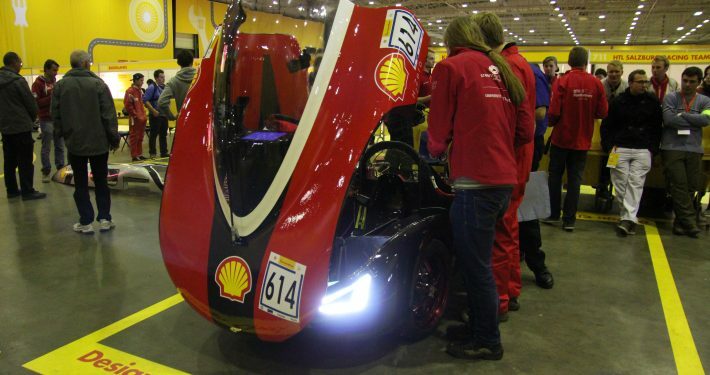 on one litre of gasoline, which gave us the third place in the Urban Concept class! A car in the Urban Concept class is required to have all the features you would expect in a city car, such as headlights, taillights, a luggage space and even a windscreen wiper! 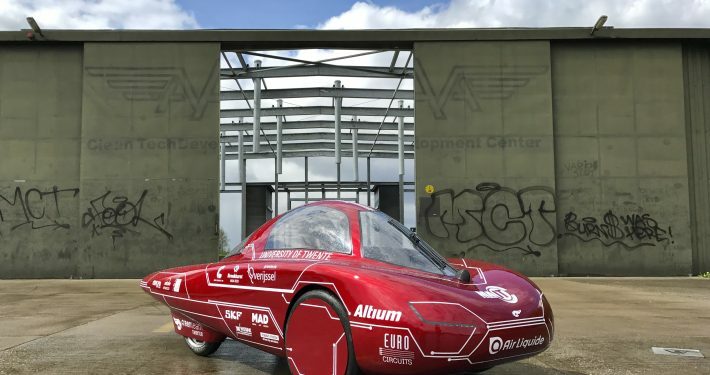 The PCBs of Eurocircuits can be found in every subsystem of the car. The pedals, the steering wheel, the headlights; every subsystem has its own micro controller performing a specific task for the car. The systems independently communicate with each other as a neural system inside the cars Controlled Area Network (CAN). Power converters and motor controllers are also homemade, using Gallium Nitride transistors (GaN) and a FPGA processing units. These GaN transistors have a very high efficiency but also a tiny footprint and pitch. 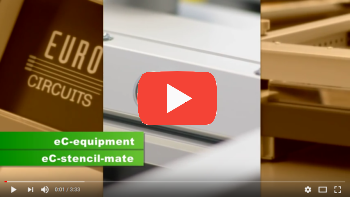 With the technological capabilities of Eurocircuits, we are able to build highly efficient designs and use innovative components. The process of developing starts with designing the PCB. Below you can see the schematic of the steering wheel PCB that will go into our steering wheel. Except for the throttle and mechanical brakes, the driver will operate the entire car using the buttons attached to this PCB. 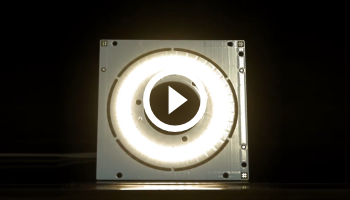 It will also feature an OLED screen, where speed and other relevant information will be presented. In this design two data busses are implemented: I2C for the GPIO expanders and SPI for the OLED display. To expand the GPIO of the LPC chip, we use NXP’s PCA9555A chip. Furthermore, two buck converters (to scale down from 48V in the power line of the CAN bus) and linear voltage regulators are implemented for the multiple voltages that are required at the board, such as the OLED display (3.3V, 3.5V, 12V), the microprocessor (3.3V and 5V) and GPIO (5V). After the designing process, the composition will be uploaded to Eurocircuits and after a few days, we have some happy electrical engineers, eager to make the PCB functional. 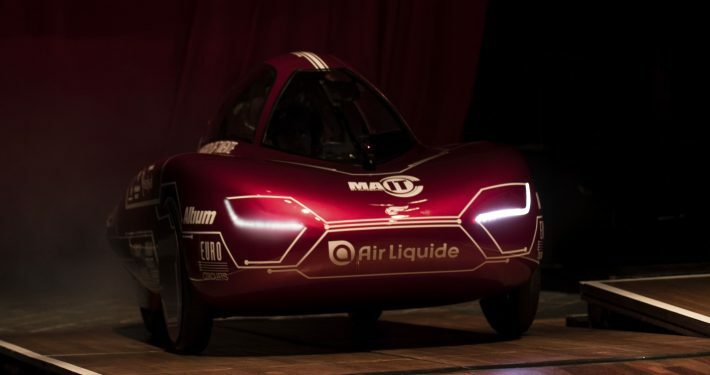 With the experience of last year and a having a strong electronics team that have made a completely renewed inside, we hope to finally reach the 1000 km/L milestone! We are glad to have Eurocircuits as one of our largest partners and we are looking forward to our collaboration in the coming years!